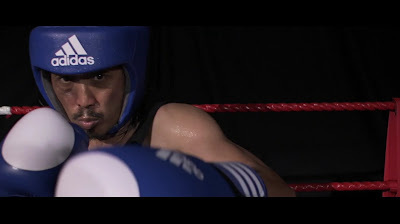 An aggressive boxer’s reluctant reunion with his ill father sparks off a hostile yet awkward circumstance where father and son are forced to live together for the next 3 days. 3 DAYS GRACE was produced as a thesis film for my final year project at NTU School of Art Design and Media. The main concept of 3 DAYS GRACE revolves around a strained relationship between a father and son. 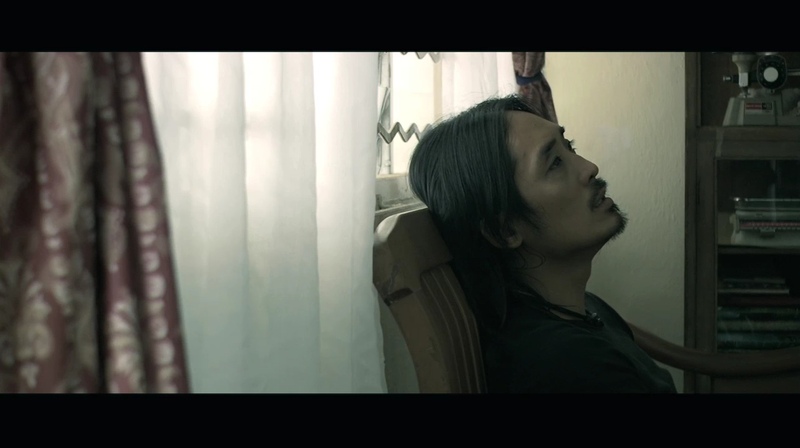 The film tries to explore the intricate and awkward relationship between two grown men bound by Asian values, coping with life in the absence of a wife or mother. The film has its focus on the fading importance of filial piety in modern society that used to be a distinct Asian virtue. Is this a personal film? Or were you inspired by other events? This film was first driven by the interest of working on the father and son theme. I had wanted to tell a realistic story that included the things I’ve observed based on personal experiences and other individual’s stories. 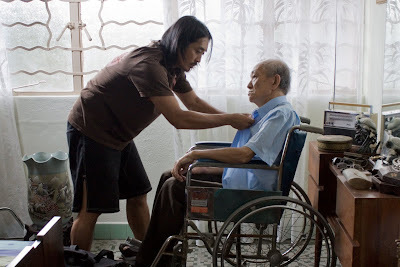 Upon reading news articles about the local government contemplating on enacting filial piety laws, the idea began to take shape as I try to include such a premise into the film. I didn’t want to explore or highlight whether it was a good or bad thing to implement the law or whether it was needed, but rather, I wanted to tell a story that can happen in such a premise. 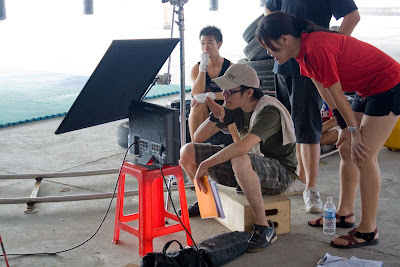 I worked with my co-writer Asa Lee who also became the producer of the film on the development of the narrative. The film is essentially about a grown man and his aged father. There was the deliberate absence of other female characters in the film except the social worker. She embodies the role of the government as both the enforcer and the impartial mediator. I guess the first thing I wanted to achieve was to tell a delicate yet poignant story about kinship. The project was also a further exploration for me in terms of directing a different genre and film style. The way the script was crafted allowed me to work with minimum dialog as I explore the use of silence and restrained communication particularly with the main characters. The film was also a technical study for me to work with full HD production, prime lenses and a tapeless workflow. I had worked intensively with my DP Joseph Peng to achieve the look and feel of the film on set and this process continued all the way into the final colour grading phase. I had also wanted to put focus into sound design as well as original scoring into the film. Sound has always been the least priority in many student films largely due to budget constrains or the lack of understanding but I feel it is one of the most important component of a complete film. I had the opportunity to work with sound designer and composer Kevin Teoh to create an original sound design as well as score for the film. Despite being a rather quiet film, you will be surprised to know that many of the sounds you hear on the film are recreated through foley recordings. Of course all of this could not be achieved without the hard work of a committed crew and cast as well as the generous support of the sponsors. 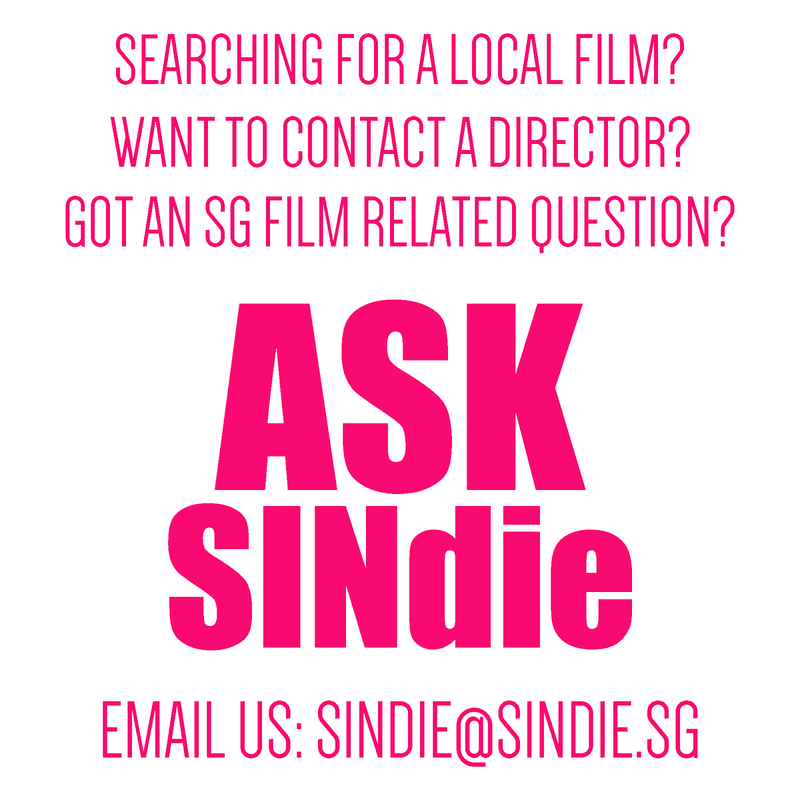 I notice you have quite a wide vocabulary of styles throughout your films from Lorong 27 to that Our Last Day to this. What are you inspired or driven by? I guess most of the time, I make films based on experiences and events that happen around me at certain points in time. For eg. LORONG 27 was made when the coffeeshop that my granny owns was about to be sold off and I wanted to shoot the film as my last of memory of the place. 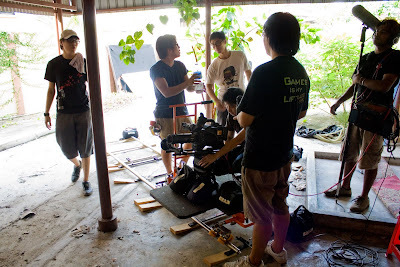 OUR LAST DAY was shot at a time when foreign media and cultures were creating such an impact on people around me that generated the sudden urge for me to direct a foreign film on local soil. 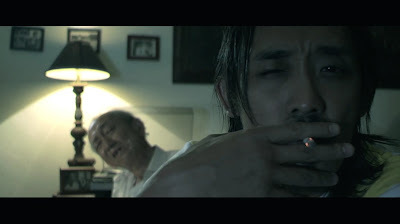 Similarly to my other films, 3 DAYS GRACE was conceived at a time when filial piety was constantly discussed by people around me and on the local media. Before entering film school, I was a self-trained filmmaker and my earlier works were strongly influenced by mimicking what I had seen on T.V or in the cinemas of those time. It is only in later years that I began to try and define my own style. Every film is a practice for me, I believe the only way to hone my skills and achieve my vision is to keep making them. Every film I’ve completed is different and I get different experiences and learn different lessons from them both during and after they were made. Most importantly, it was the love for moving visuals that drives me to keep creating them. Any interesting things happened during the shoot? As the house plays an important part of the story. Looking for the right house to film in was paramount to achieving the look I had envisioned. We had scouted and viewed so many different kinds of apartment it was almost as if we were contemplating on buying one. Initially, most of the houses that we scouted had problems either with its exteriors or interior furnishings, the houses were either too new or too cluttered. It was only until the last minute that we discovered an old bungalow along Chun Tin Road, the disheveled exteriors were just as what I had wanted, the only problem was, the house had been unoccupied and completely empty. It was impulsive but we decided to rent the property, art direct the whole house and commence filming in a few days time. 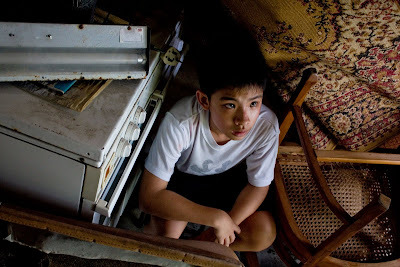 The art director for the film Andy Chung had the difficult but important task of filling up the house under a tight budget. 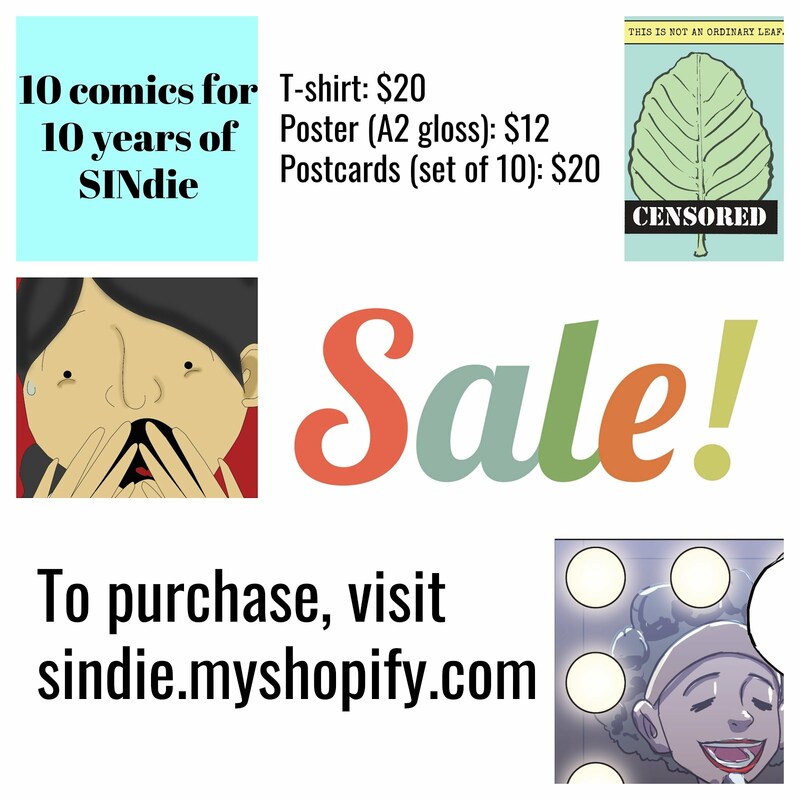 We had to borrow, rent and even scavenge for furniture and other items to fill up the house. Trips to the junk yards and rubbish dumps were a daily affair, I must say that the art department did an amazing job and it turned out really well on film, they even brought in a prayer alter complete with a deity.